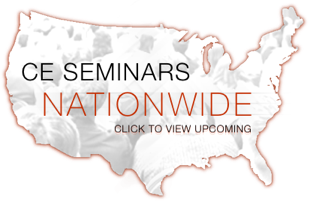 SleepSeminars.com is your online source for Dental Sleep Medicine CE accredited Seminars and Webinars. In conjunction with Sleep Group Solutions, all courses are focused around the screening and treatment of Obstructive Sleep Apnea (OSA) within your existing dental practice. In need of continuing education? Our 16 CE PACE accredited 2 day courses are in depth, hands on and lead by the best instructors in the industry. Most Sleep Group Solutions seminar instructors are AADSM (American Academy of Dental Sleep Medicine) Diplomates who are successfully screening and treating OSA in their practice. Their ‘real world’ insider experience is shared with dental colleagues in an intimate and engaging atmosphere. They discuss openly and honestly sleep medicine topics related to dentistry such as; appliances, home sleep testing, sleep protocols, billing and insurance, marketing, procedures and screening technologies. We encourage our dental and orthodontic clinicians to explore the rapidly growing and exciting world of Dental Sleep Medicine. Many of our dentists find an interest in Dental Sleep Medicine after viewing a free 1CE Webinar. Log on and learn from the best! View a free webinar on the exciting and rapidly growing field of Dental Sleep Medicine.